Have you been injured after slipping, tripping or falling due to the fault of another person, business or entity? If so, you may need the help of a San Diego slip and fall lawyer. Our experienced personal injury lawyers in San Diego have experience, have a history or winning slip and fall cases, and provide excellent service to you all throughout the legal process. At the Liljegren Law Group, we can provide exactly that. As you slip and fall attorney, our goal will be to maximize your settlement amount your injuries. If the settlement offer is not fair, we will take your case to trial. We handle all fall related cases on a contingency fee basis, meaning you pay us nothing unless we win! Should I file a lawsuit for my slip and fall accident? Can I sue my employer if I slip and fell at work? Can a tenant sue a landlord for injury? Can I sue if I fell on broken or uneven sidewalk? How much will hiring a personal injury lawyer cost? We have the answers to these questions and will try our best to answer any other questions you may have. There is no fee for a consultation and if we accept your case, you pay us nothing unless we win! Call or contact us right away, we are ready to help! The term “premises liability” refers to the liability of certain persons for injuries and damages to others arising from the ownership or possession of real property. In San Diego, according to California law, businesses for example have a “duty of care” to make their premises safe. Premises liability actions have traditionally involved “slip and fall” causes of action. There is no precise way to determine who is at fault when a slip and fall injury occurs. However, despite sounding innocent, a slip and fall can lead to significant injury – such as broken bones, spinal cord or brain injuries or even death as this chart shows below. California premises liability cases are complex and can be difficult to prove. Here are some example situations where you may have grounds for a slip and fall lawsuit. Successful legal representation is essential in slip and fall cases. Our legal team has a thorough understanding of the ever changing and fact specific laws regarding the various and numerous incidents that result in premise liability cases. We have offices conveniently located throughout California in Escondido, Oceanside, Temecula, La Mesa, Huntington Beach, and Palm Desert. Do not make detailed statements concerning fault. Do not give a recorded statement to the insurance company. Get names of owners/managers of property where you were injured. Take pictures of the scene and what caused your injuries. Preserve the clothing you were wearing at the time of the fall. In California, simply owning or occupying land does not make that person liable for injuries sustained on the property. There must be some form of negligence on the part of the owner or occupier of property before there can be any premises liability. An owner of occupier of property is negligent if he or she fails to use reasonable care to keep the property in a reasonably safe condition. It is often up to a jury to determine whether a property owner or occupier acted reasonably, considering all the circumstances which led to the injury. Careful analysis by an experienced California slip and fall attorney is required because of the many different types of situations that give rise to premises liability. If you or a loved one have been injured from a slip and fall accident as a result of someone else’s negligence, contact the Liljegren Law Group today to speak to an experienced San Diego premises liability lawyer. In California premises liability is not, however, limited to only slip and fall cases and includes, construction accidents, dog bite cases, and injuries caused by the negligent or willful conduct of third persons on the premises involved. Depending on the case, the law will apply in different ways, and it may vary per claim what kind of liability a company or property owner can be held to. Meet with a qualified lawyer to review your legal rights and responsibilities. 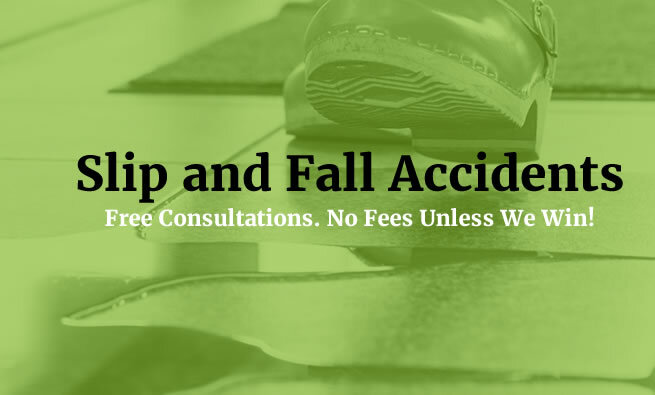 Serious slip and fall accidents are costly. And as the U.S. population ages, the number of falls and associated costs are expected to rise. Total costs include estimates for hospital bills, home care, rehab treatments, prescriptions and insurance charges. In 2104, senior citizens suffered 29 million falls, with 7 million serious injuries. 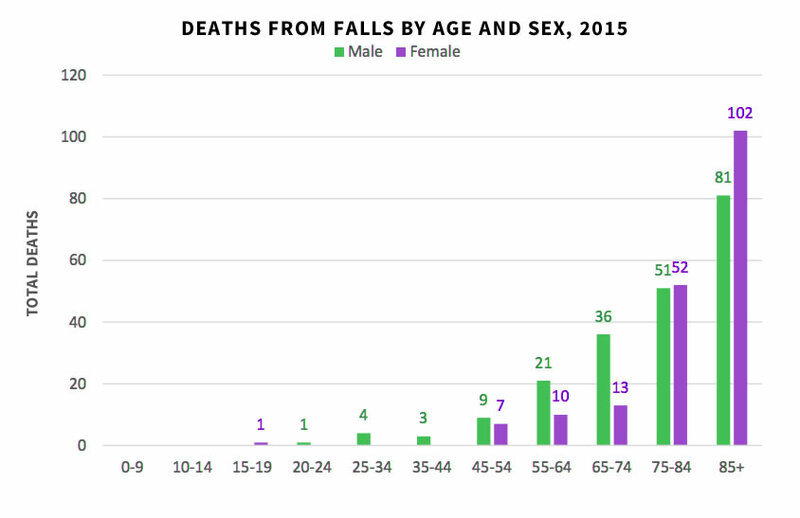 The CDC projects 49 million falls by 2030, with 12 million serious injuries. To help lower or diminish your risk factors, the CDC suggests having your doctor evaluate your risk for falling, including checking your Vitamin D levels and reviewing any prescriptions you may be on. Don’t forget to mention over-the-counter drugs, as well. Also be sure to stay consistent with annual vision check-ups. Finally, find exercises you enjoy that make your legs stronger and improve your balance. Falls are the leading cause of hospital visits, with 8 million ER visits annually. Half of all accidental deaths at home are from a fall at ground level. One of every 3 persons over the age of 65 will fall, half of which are repeat fallers. Over 60 percent of nursing home residents will fall each year. Eight-five percent of worker’s compensation claims are from employees slipping on slick floors. Twenty-two percent of slip and falls required more than 31 days off work. fall account for 5 percent of job-related fatalities for women and 11 percent for men. If you have been injured on the premises of a property which was owned by someone who did not maintain the safety of the premises you should contact a San Diego personal injury lawyer at the Liljegren Law Group today so that we can provide adequate legal help for you in this time of pain. Contact us today at 1-866-613-9906 for a free legal consultation.